Our bridal 2014 Fall/Winter collection is a daydream for the fairytale bride. 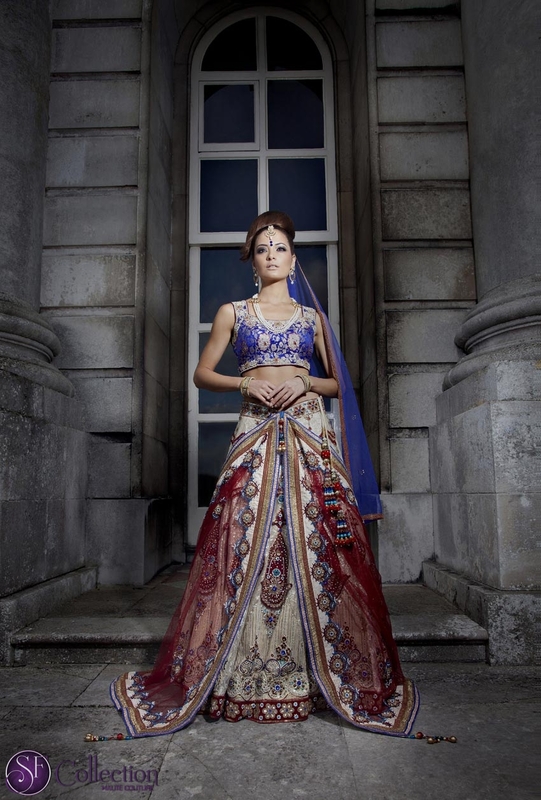 Traditional lengha (Skirt) with rich duputtas and regal brocade or velvet blouse to complete a royal look of the ensemble. 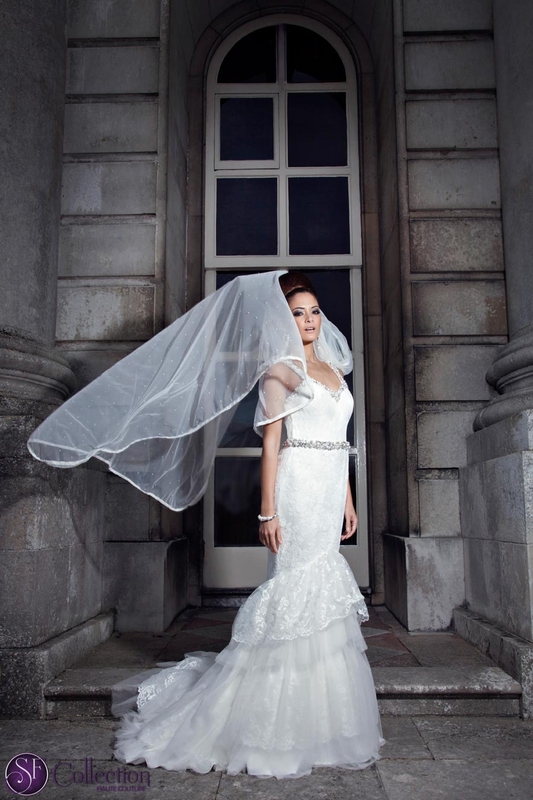 On the other hand stunning full gowns with beautiful fabrics, Spanish style frills, fitted bodice with touch of crystal and pearl embroidery giving way to delicate, daring sheers of the most intricate lace. Never is a single gown less than sublimely detailed, and ultimately breathtaking. From understated elegance to show-stopping glamour, this couture collection for fall/winter 2014 will have some breathtaking dresses for your special day.. With this winter collection we bring forth the latest of the trends making waves on your wedding day be it traditional indian wedding, modern english civil wedding or red carpet reception evening. From colours to styles and cuts, everything is uber modern. Beautiful Lace an absolutely refined fabric made from finest imported yarns which has a regal feel and look to it. Plain fabric like taffeta, organza or glass nylon has been filled with stories written in splashing and refreshing colours, intricate embellishments with distinct patterns so that you can flaunt a look you desire in the upcoming season. Dupion Silk is a soft rich fabric, which is manufactured from the finest staple and imported yarns to give the fabric a smooth, glossy look that not only looks but feels royal as well. The blank canvases of this supreme fabric have been brought to life with the imagination of meticulous designing process for you to enjoy. Finally Velvet soft but yet warm rich feel to this fabric gives depth to hand crafted embroideries designed purely for this new collection.